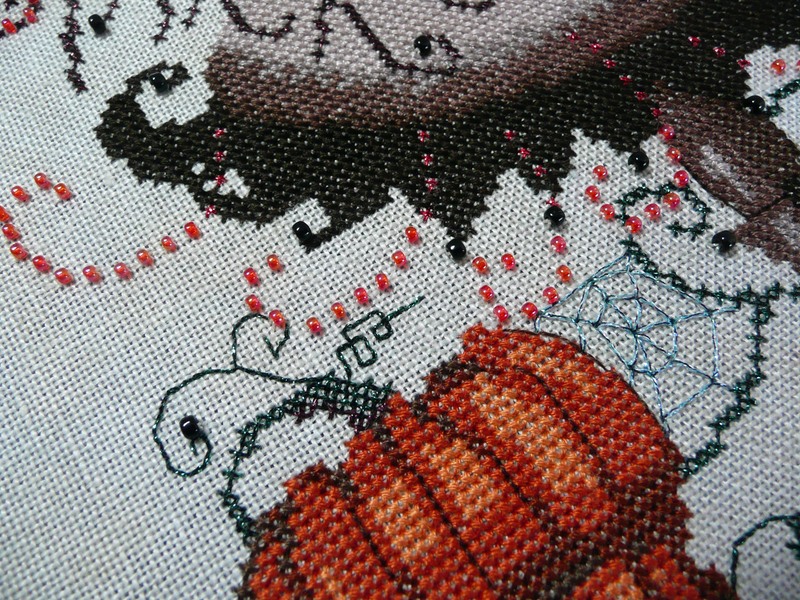 Anne S • This entry was posted in Cross Stitch, Finishes, Great Pumpkin Challenge 2010, Halloween, Mirabilia and tagged Cross Stitch. Bookmark the permalink. Congratulations, she’s really pretty! There’s still plenty of Saturday left back here, so as far as I’m concerned you made it, lol. Congratulations on an awesome finish!!!! Yes, our Saturday is half over so…. here in Arizona you made your Saturday deadline! She is soooo beautiful. This is one on my hope to do someday list. That’s beautiful! 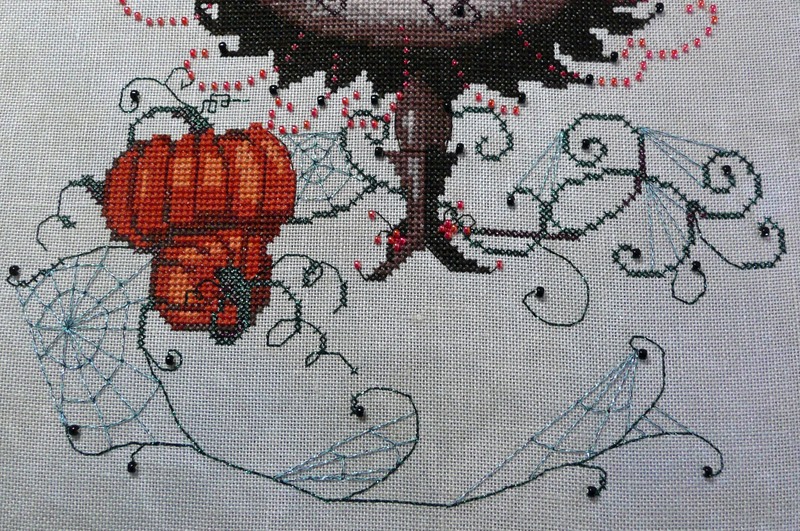 I’m working on the same thing but I’m only about half way done and just hope to get it done by Halloween! Gorgeous!! I really need to finish mine as well. Whoo Hoo! Congrats on your finish! It looks great! She’s lovely Anne – I especially love the spider’s web between the pumpkins and vines… You have been on my mind of late – everything ok at your end?? Congrats on the finish! She’s gorgeous! I know this is a lovely lovely piece. A local friend stitched it when the mag came out and I saw it up close and personnal. Congratulations on a job well done. The Halloween Fairy is beautiful! You did a great job! Huge Congrats! It’s a stunner Anne! Congrats! Wow! 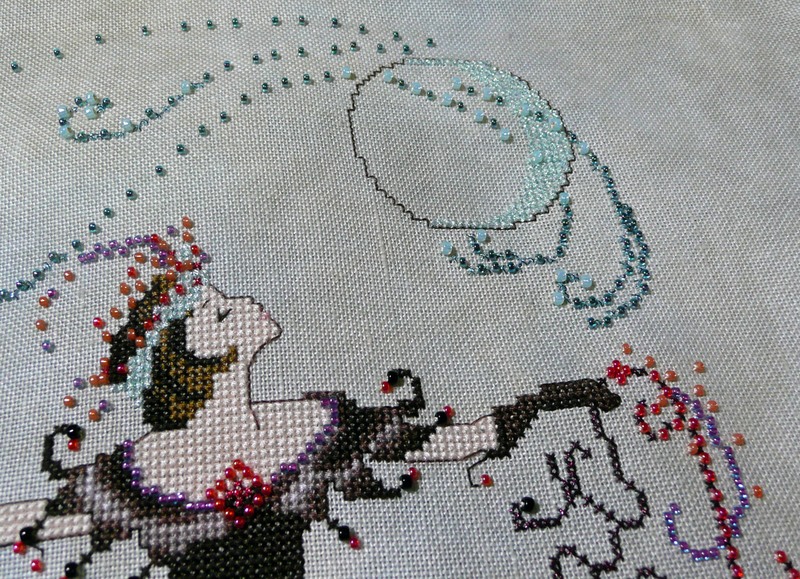 Wonderful work, is so pretty. Congratualtions your finish is gorgeous! A wonderful finish, in time for Halloween too. Woohoo!! 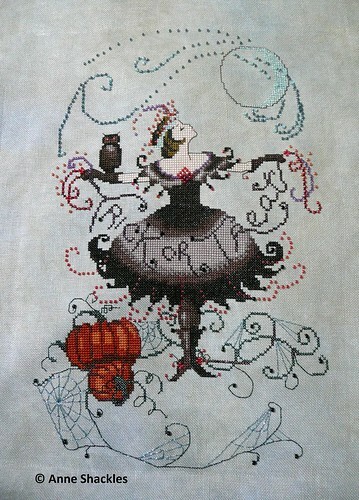 I finished mine earlier this year and love it. Absolutely fantastic!! You deserve to happy dance! Congrats on a beautiful finish! Wow, Anne. It’s amazing! You must be utterly thrilled to bits!